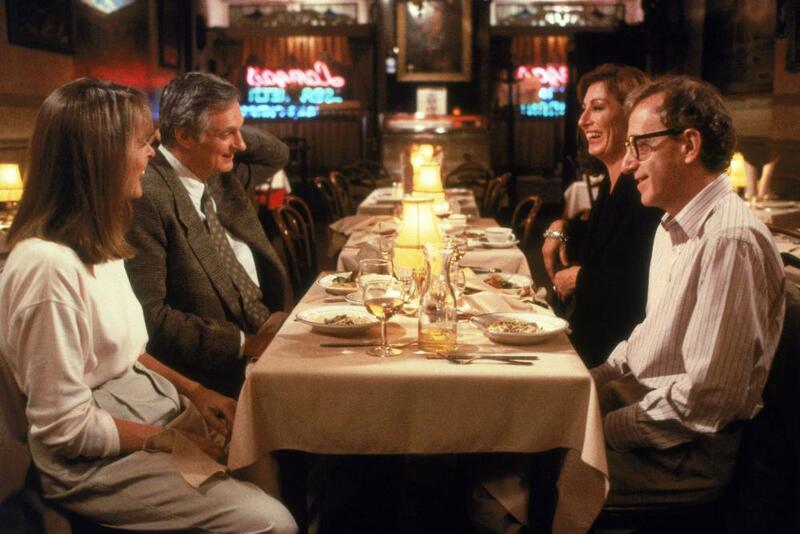 Manhattan Murder Mystery is an entertaining, undemanding entry in the filmography of Woody Allen, and there’s certainly no crime in that. For one to have the sort of staggering, decades-spanning productivity enjoyed by Woody Allen, one also has to accept a corresponding range in quality. And to be sure, Allen has had his fair share of hits and misses. Within that spectrum, while more have veered toward the positive than the negative, a sizable portion of Allen’s output rests securely in the middle: not great, but certainly not bad. This is where Manhattan Murder Mystery falls. Similarly, this 1993 release, Allen’s thirteenth film in twelve years, is neither a full-on comedy nor a straight drama. It is, as it is in most every way including genre placement, a perfectly happy medium. 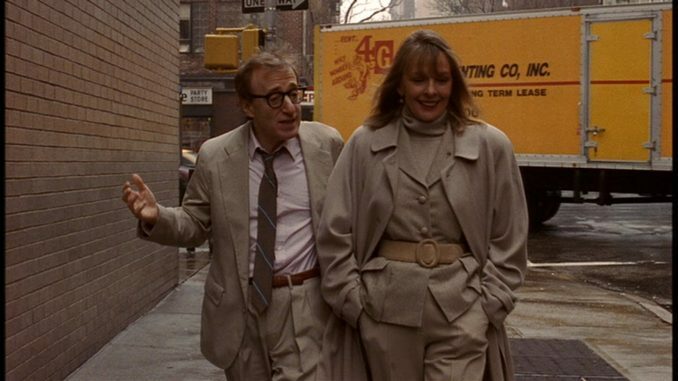 MANHATTAN MURDER MYSTERY, Diane Keaton, Alan Alda, Angelica Huston, Woody Allen, 1993. ©TriStar Pictures/ . Manhattan Murder Mystery starts comically enough, though, as typically well-to-do Allen types Larry Lipton (Woody Allen) and wife Carol (Diane Keaton) happen upon their loquacious neighbors Paul (Jerry Adler) and Lillian (Lynn Cohen) House. They strike up a reasonably friendly rapport with the older couple—Carol is more welcoming than the evasive Larry—but that amiable association is abruptly thwarted when the seemingly healthy Lilian drops dead. 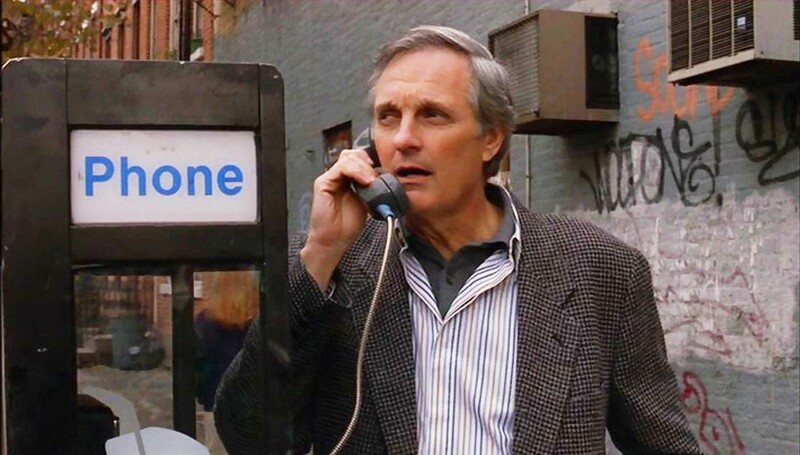 Already keen on newspaper reports of homicidal behavior, behavior Larry wryly dubs an “alternative lifestyle,” Carol suspects Paul of some wrongdoing, a suspicion augmented by the couple’s friend, Ted (Alan Alda), who pines for Carol and is also enthralled. Their unfounded speculations become potentially probable as clues and additional characters accumulate. Eventually, dismissive Larry can’t help but participate, and with him comes his client and superficial crush Marcia Fox (Anjelica Huston), a younger writer who charms the men with her acumen and rankles a jealous Carol with her cool demeanor. Amidst Manhattan Murder Mystery’s focal whodunit are the two side-plots concerning what are essentially harmless flirtations between Carol and Ted and Larry and Marcia, both of which are slow to take hold as anything other than diverting romantic dramas. Alda, who played an arrogant cad in Allen’s Crimes and Misdemeanors (1989), presents Ted as equally overbearing and rather sleazy. Even if he is Carol’s eager partner in crimefighting, opposing her husband’s disinterest, it’s still easier to sympathize with Larry by comparison. As for Huston’s Marcia, her early function seems to be solely in the interest of giving Larry something to do while Carol and Ted are out and about. Some debate has surrounded the age discrepancy between Huston and Allen, but that contention is a bit of a stretch. She was 42 at the time of the film’s release, he was 57. That’s hardly robbing the cradle. The greater issue is her aloof detachment, which is apparently done to make her appear enticing and mysterious but which generally makes her simply unappealing, even when she does play a more prominent role in the principal storyline. If not in real life, age is a central issue in Manhattan Murder Mystery, for in many ways, the pivotal inquiry is an opening through which Carol and Larry can lighten up their middle age doldrums and add some adventure to a temporarily stagnant marriage. With little in common—he likes hockey, she likes opera—the criminal conspiracy injects much-needed emotion into their life, initiating a productive, bonding enterprise. And it works, and the film truly takes off when Larry gets involved (after all, they’ve been through something similar before, during their solving of the “noises in the attic mystery”—a trapped bluebird). As the relationship between he and Keaton’s zealous Carol is fortified, Allen’s predictably panicked Larry arrives hilariously in over his head. He becomes the hapless Columbo to Carol’s intrepid Nancy Drew. “Yes,” he effectively asserts at one point, “I’m a detective. They lowered the height requirement.” Their plight is anxious, exasperated, and endearing, and after a body actually turns up, and one corpse takes the place of another, Larry’s instantly applied logic is both amusingly vague and, as it turns out, rather prescient: “Either she’s a twin, or he’s a twin.” Later, the team’s ingenious final scheme, involving tape recordings and manipulated audio, is both comically enacted and frustrated at the same time. Allen proficiently balances the ageist and romantic issues within the context of Manhattan Murder Mystery’s primary investigation, which can teeter between genuine thriller and simple farce. 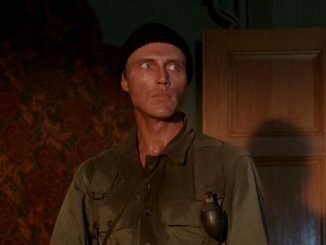 Oftentimes, the humor undercuts the suspense, as when fumbling Carol slips into Paul’s apartment while he’s out, carelessly leaving her glasses behind, or when she and Ted engage in one of their goofy, snooping stakeouts. But the most insightful upending is when Allen has some fun with how odd things seem and sound when one is willfully looking for abnormalities; and yet, there is in fact some peculiarity in what Carol and the others observe. Allen’s film spoofs this self-aware construction, calling attention to tried and true formulas and filling time with allusions to famous crime movies, from Double Indemnity (1944) to an overtly mirrored The Lady from Shanghai (1947). Returning to Keaton, though, most of this enthusiasm stems from Carol, who takes an innocent, Hitchockian delight in the sheer premise of a murder mystery, enlivening the film’s throwback pleasure with her pursuit. 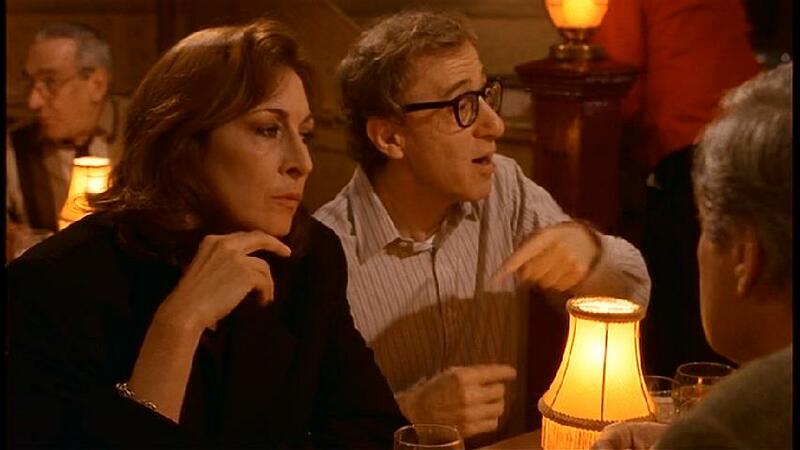 In turn, Manhattan Murder Mystery becomes an entertaining, undemanding entry in the filmography of Woody Allen, and there’s certainly no crime in that.